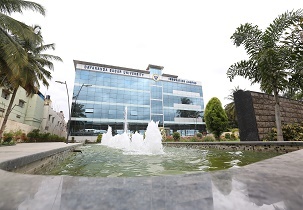 Campus area is known for its peaceful atmosphere and study environment. I feel my college is a 2nd home because all people at the campus are very helpful and supportive in nature. Many things are available at the campus to learn so overall life will be occupied within the campus for everyone. Hostel facility is very good with separate hostel for both boys and girls and each candidate is provided with single bedroom. Faculty members involve their students in doing internship programs and projects. What is the fees of MBA through pgcet? Nearly INR 1 lakh for 2 years. Candidate should pass in a Bachelor’s Degree of minimum three years duration recognized by this University or who have passes any other examination recognized by this University as equivalent thereto and should obtain 50% aggregate marks. Good Score in DSAT /MAT/CAT/PGCET Entrance test are required for admission. Are you Interested in " Dayananda Sagar University"? Please provide the following details.